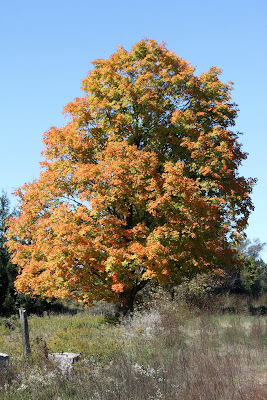 "Our Tree" is along Highway 27, and we make a point to take a drive to see it every Fall. This weekend we didn't have plans set in stone, so we just kinda "winged it". Saturday morning we decided to head out for brunch to one of our favorite places, "Cora's". I had one of their Fall specials, caramelized onion, spinach and cheddar eggs benedict. I always have a side of fried bologna! After we left Cora's we headed to Pine Farms, a place I found out about by reading another blog and wanted to visit. They offer "pick your own" apples or you can buy them already picked. 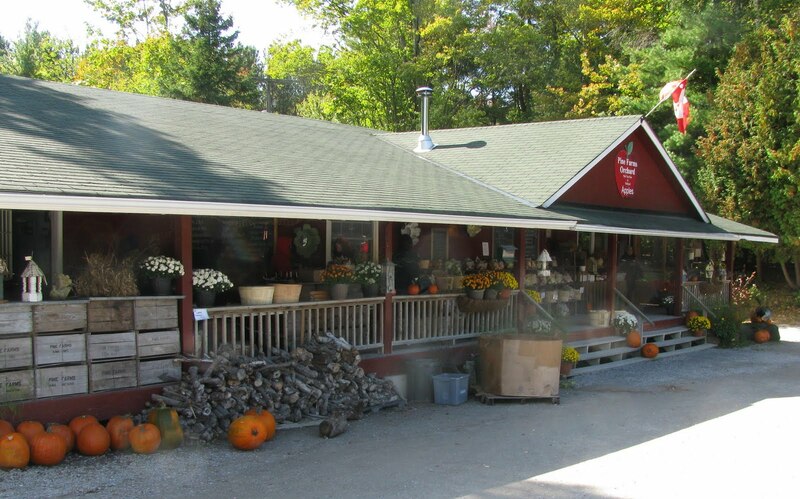 They also sell homemade baked goods, unique items for inside or outside your home and even a small quantity of wines from their own winery. I would go back there, as it's a nice little drive out of the city. I left with a baked apple pie, a bar of homemade lavender soap and a jar of Chipotle Lime Mustard. Pine Farm located in King City, just outside of Toronto. 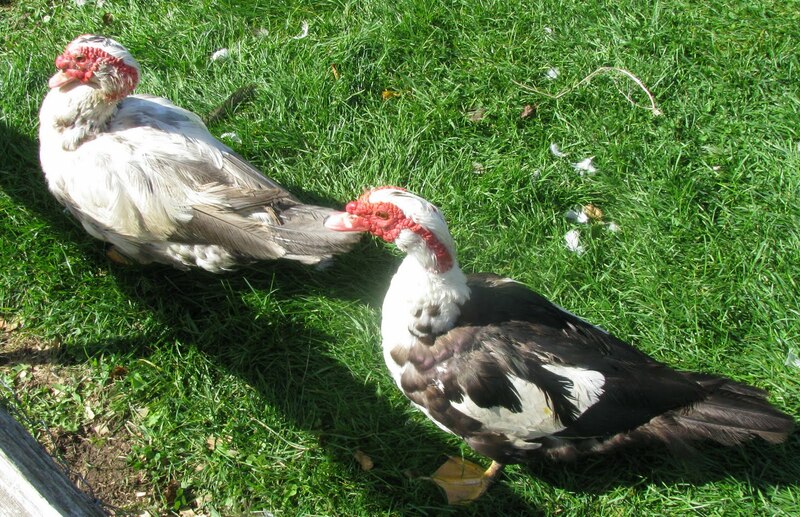 Meet "Elvis" and "Costello", a pair Muscovey Ducks that live at Pine Farm. These ducks are well known for their fly catching abilities. After we left the farm we headed up the 400 highway a little way where we went to the Cookstown Outlet Mall. I bought one of my nieces an outfit for Christmas and something I've been thinking about buying for a while, a Coach purse. After we left the mall we decided to take Highway 27 on the way home to see "our tree". It is a beautiful tree we noticed in the Fall of 2004, our first one together, and we try to go see it every Fall season. Saturday night was a quiet evening in, sharing a bottle of wine and relaxing in front of the TV. Sunday morning we had hopes of going birding but the weather didn't cooperate. We headed out in the morning anyway and ran a few errands after a quick breakfast at McDonald's. After returning home we had a little nap and "puttered" the afternoon away at home. New rubber boots for both of us were purchased this morning, needed for birding! Channeling my inner Martha Stewart while I decorate our home for the Fall season. I've had a beef vegetable soup cooking in the slow cooker all day and the house smells delish. Curling up on the couch to watch "Bridesmaids", a highly recommended comedy is how we plan to end our weekend. I love that the leaves are changing. Nova Scotia is ahead of us. FOODIE FRIDAY - OYSTERS, AGAIN! !